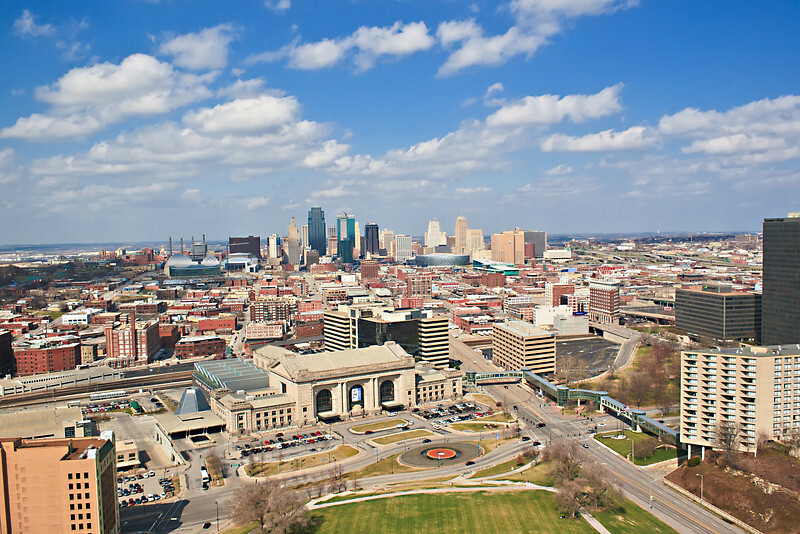 Different scenic views of Kansas City and surrounding communities. 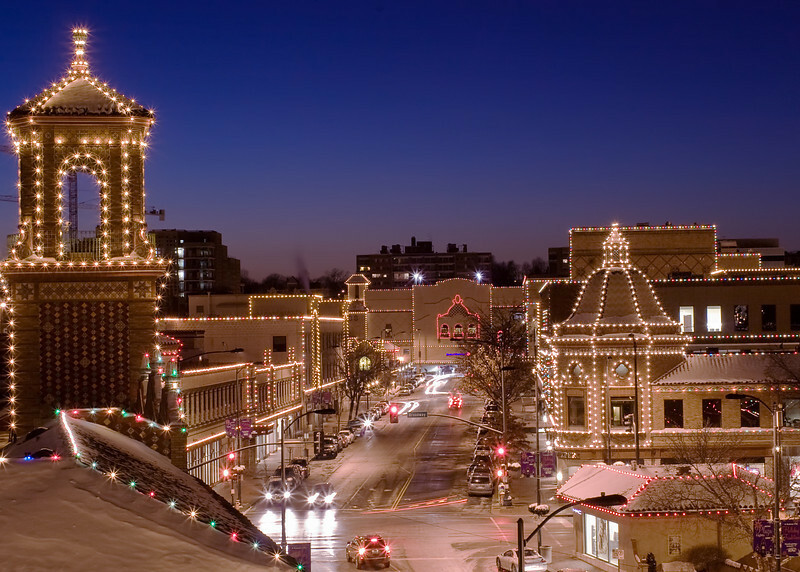 A view of the Kansas City Country Club Plaza Christmas lights and the skyline of downtown Kansas City. 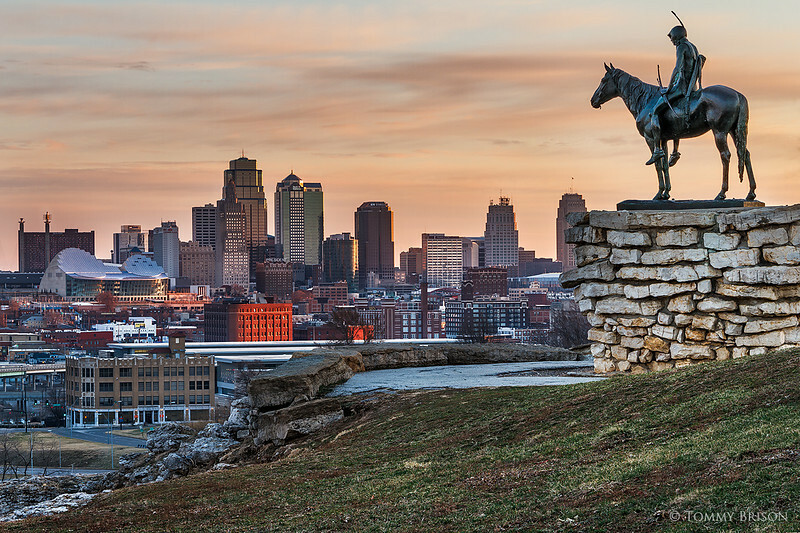 A skyline view of Kansas City, Missouri. 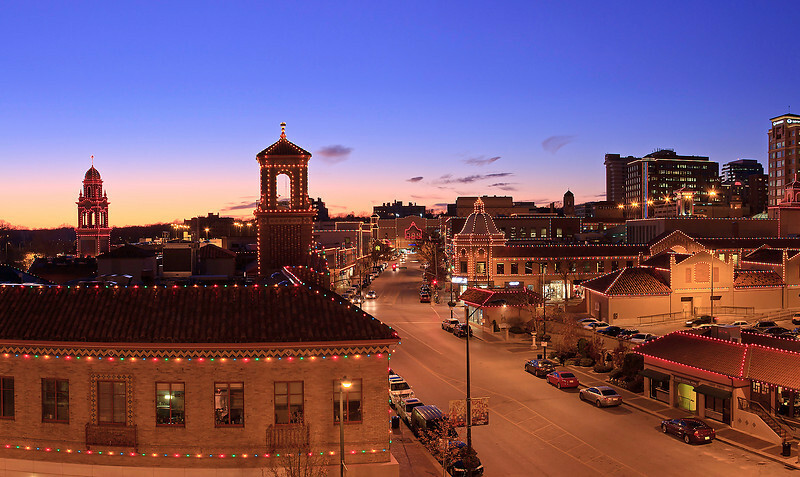 Kansas City is an important place for businesses and also a great place for people to go on vacation. 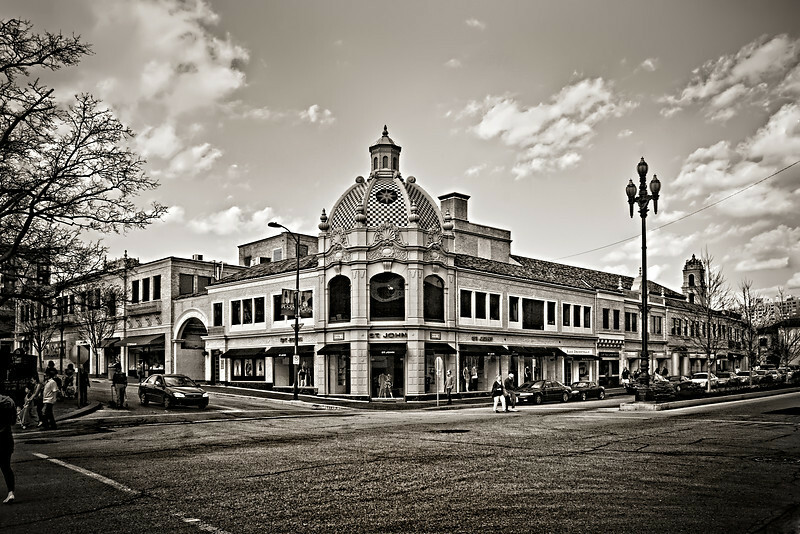 The Kansas City Country Club Plaza is a very popular shopping district in Kansas City, Missouri. Indian creek has a wonderful trail system that runs along side it. 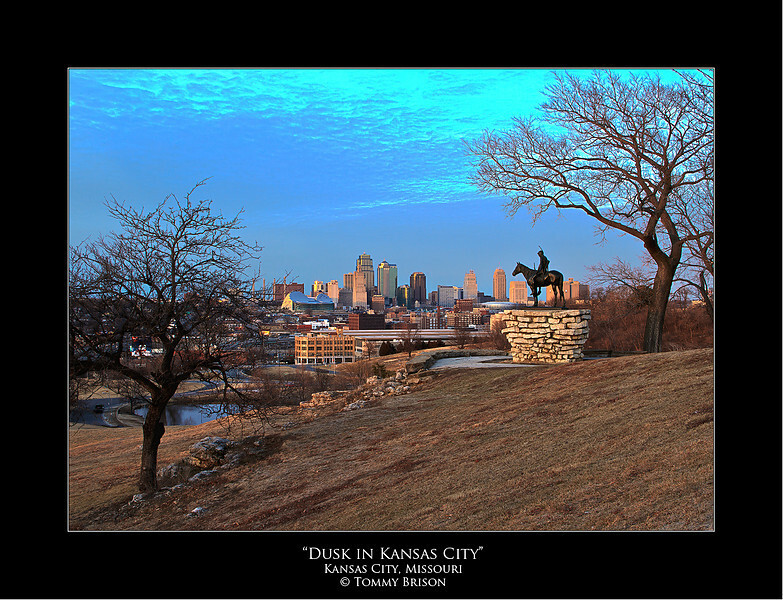 It is a great place to get out and enjoy nature in a semi-urban to an ruban environment here in the Kansas City Metro. 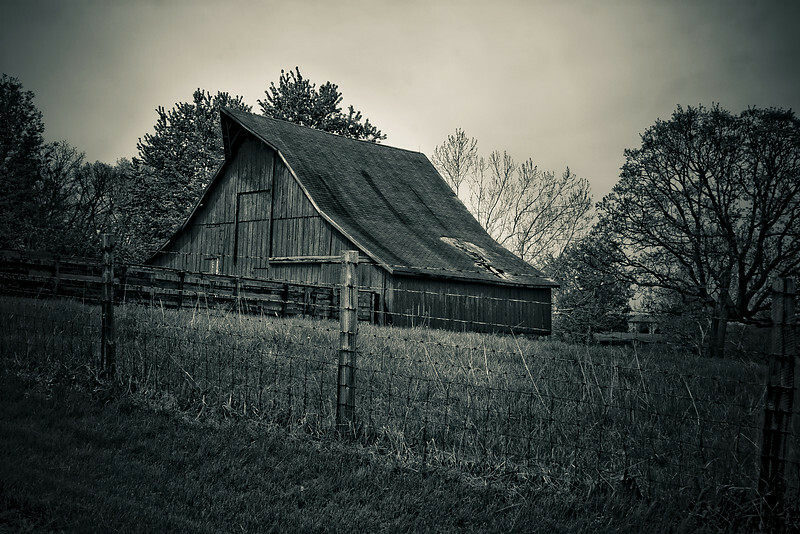 This is an old barn just outside of Blue Springs Lake area. 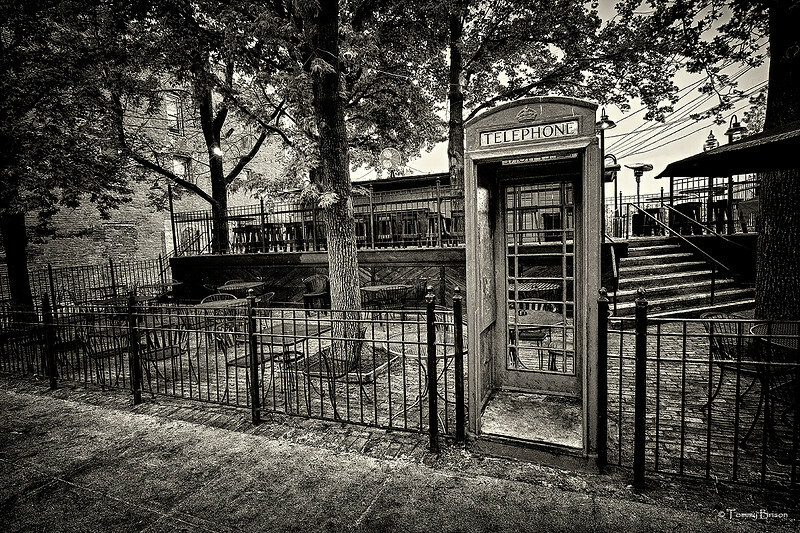 I love shooting old rustic things. 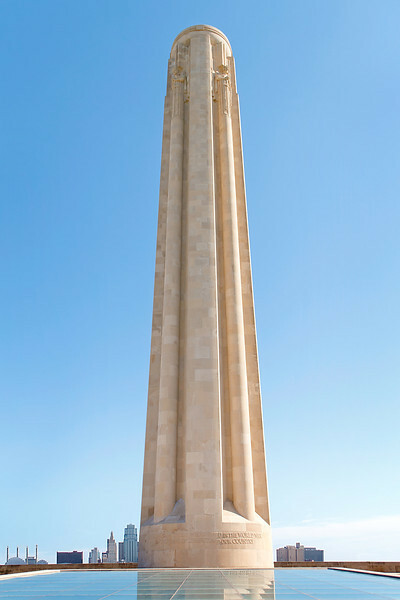 The Liberty Memorial is in Kansas City and the tower is 217-foot tall. It is a memorial to the fallen soldiers of World War I. It is Located in Penn Valley Park. 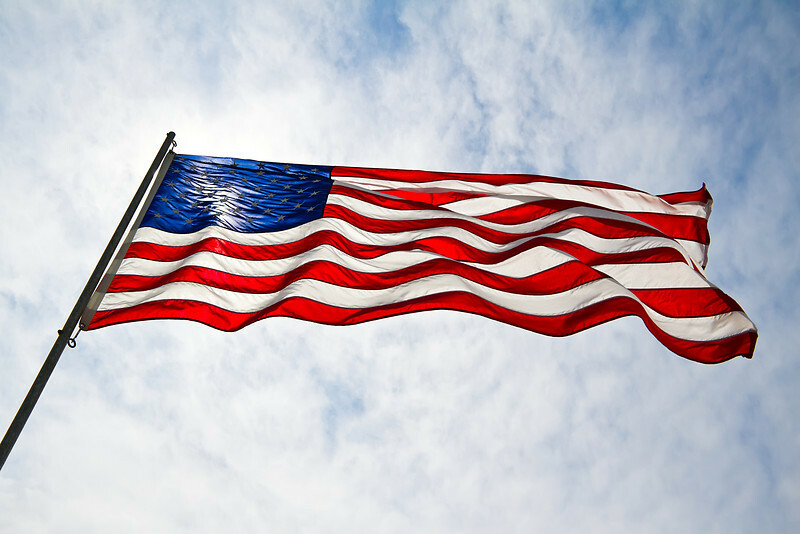 The American flag is a symbol of so many things. I called another photographer friend of mine and asked if he would like to go out shooting some with me. 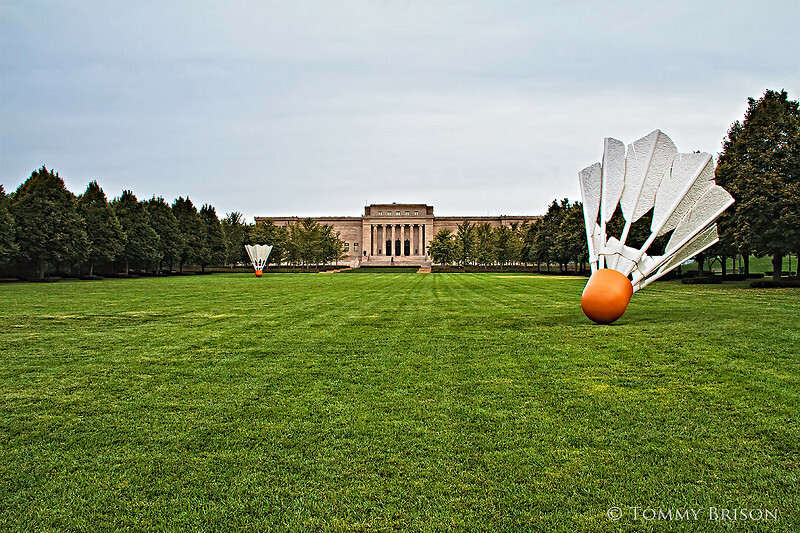 We went to vaious places around Kansas City area to capture some cityscape images. 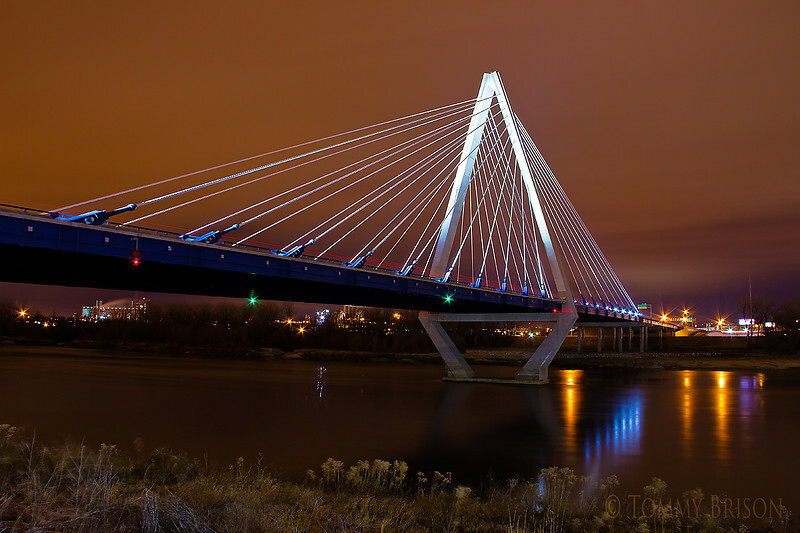 The new Christopher S. Bond Missouri River Bridge is a dual-span cable-stayed bridge, anchored by a 260-foot (79 m) tall delta-shaped pylon. 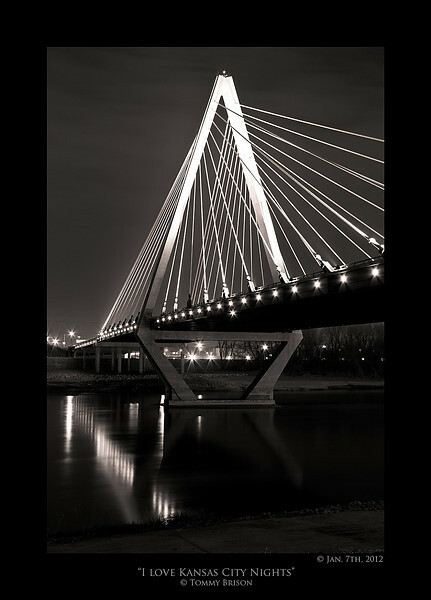 The pylon rises 316 feet (96 m) above the Missouri River. 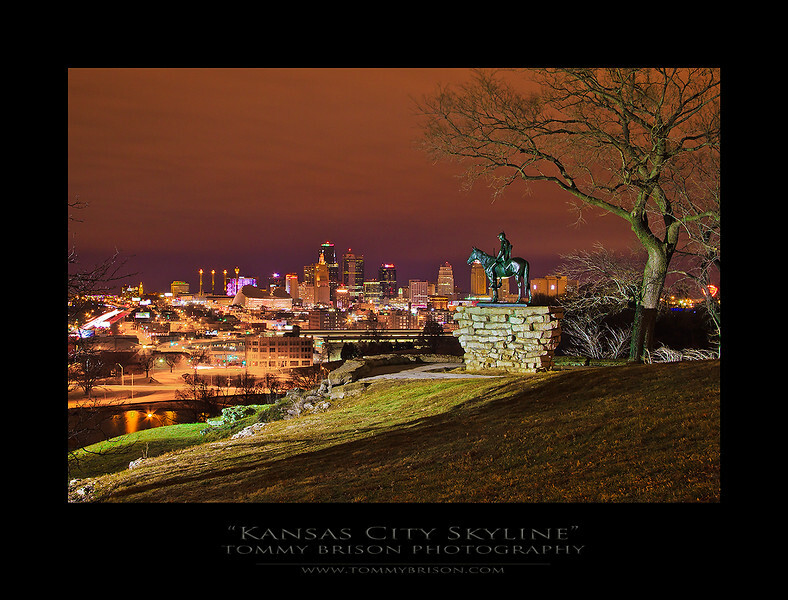 A wonderful view of Kansas City on a colorful cloudy night. 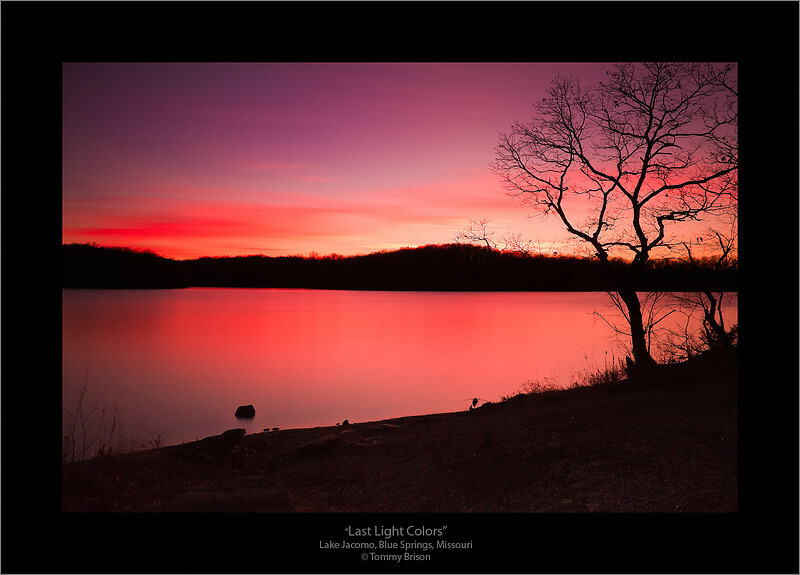 A 141-second exposure of the sunset at Lake Jacomo in Blue Springs, Missouri. 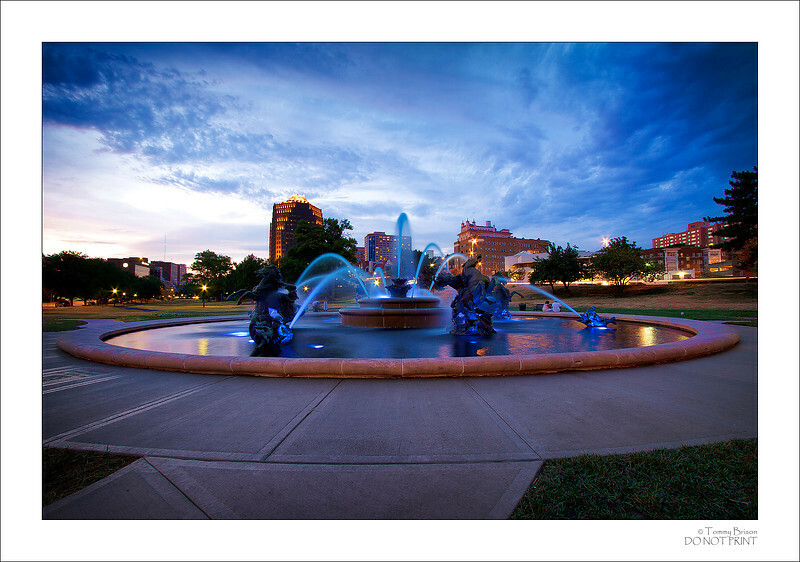 In Kansas City area, we have several areas that makes wonderful landscape shots. 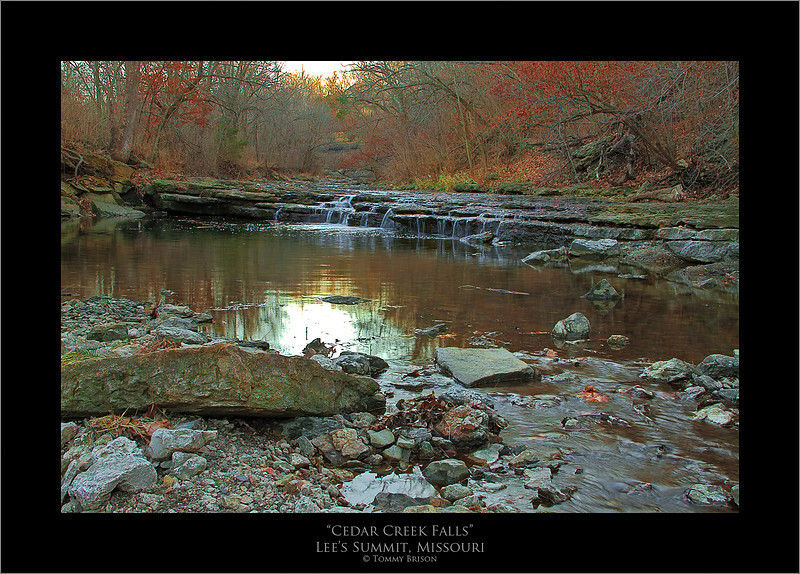 Cedar Creek has some nice little waterfalls in its creek. 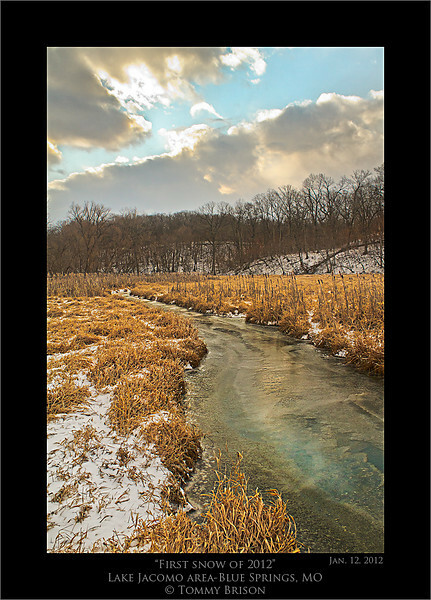 The valley that it flows through is a beautiful area to take landscape photography photos here in the Kansas City area. This image was taken Jan. 1st, 2012. Reasons like this is why I love to get out of the bed early to start shooting. 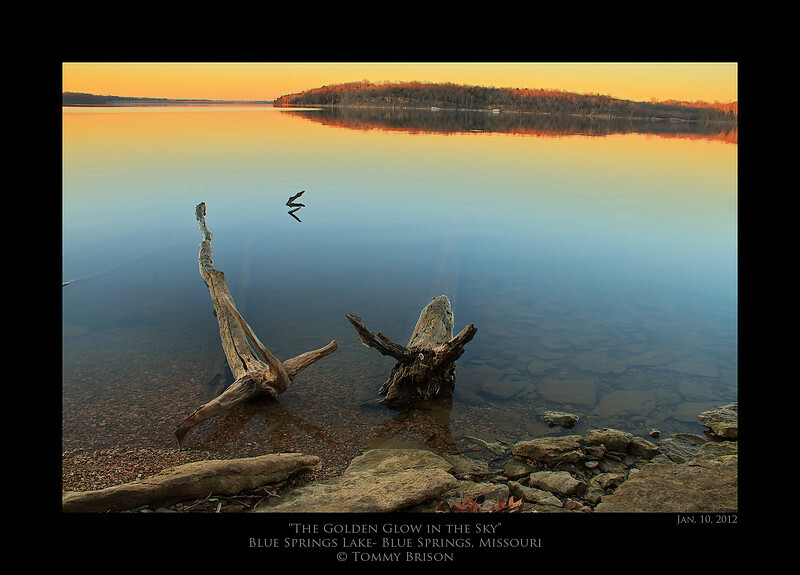 Taken at Lake Jacomo on the sunrise of Dec. 26th, 2011. 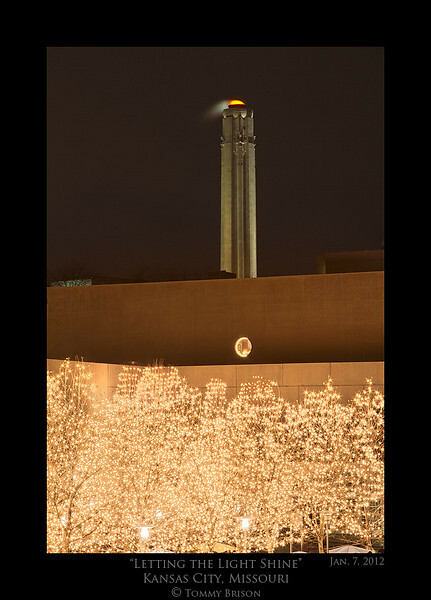 Taken on Jan. 7th, 2012 of the Liberty Memorial. I wanted to shoot a different view then the normal shot. This took me to a location away from it and zoom in. 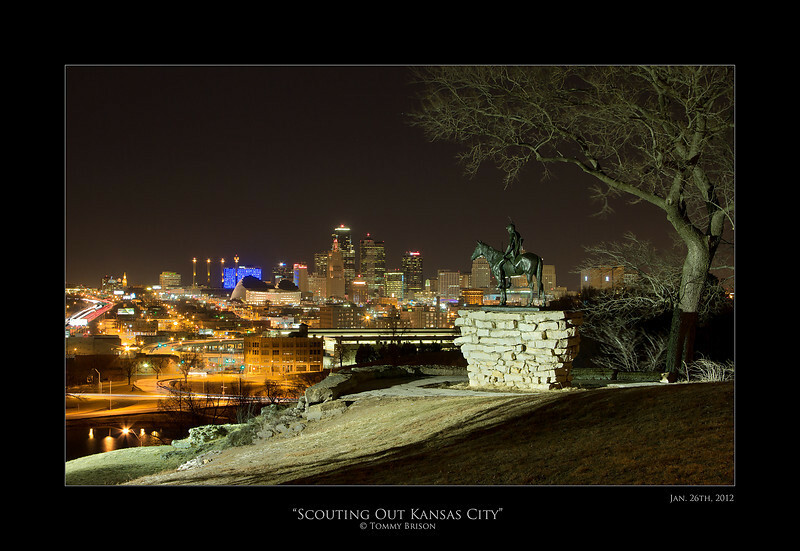 Here in the Kansas City area, there are so many wonderful things to see and to photography at night. 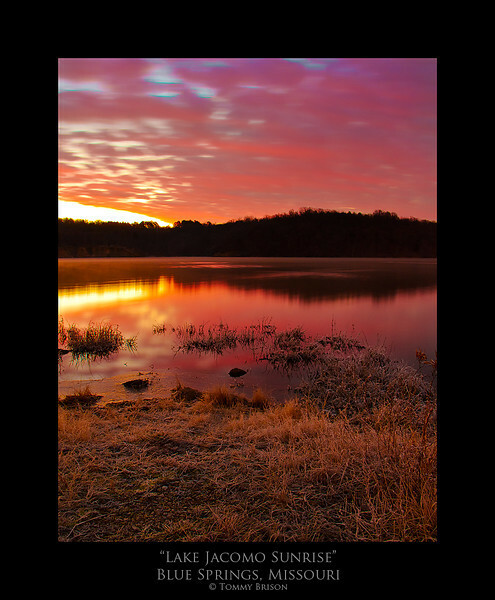 From urbanscapes to landscapes there is something for everyone to see. Shot on the eveving of Jan. 10th, 2012. 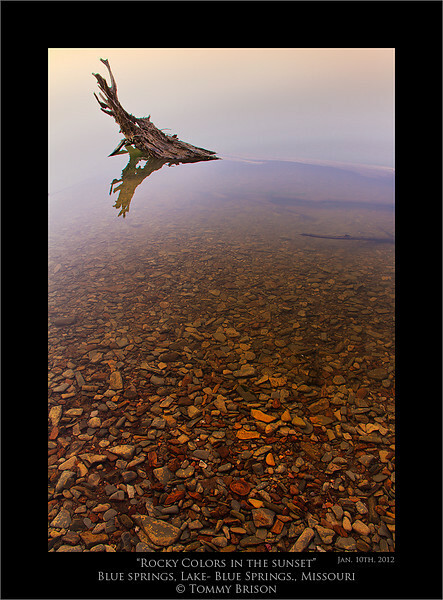 I was standing in the cold loake water to get this image, but to me it was well worth the coldness on my feet. 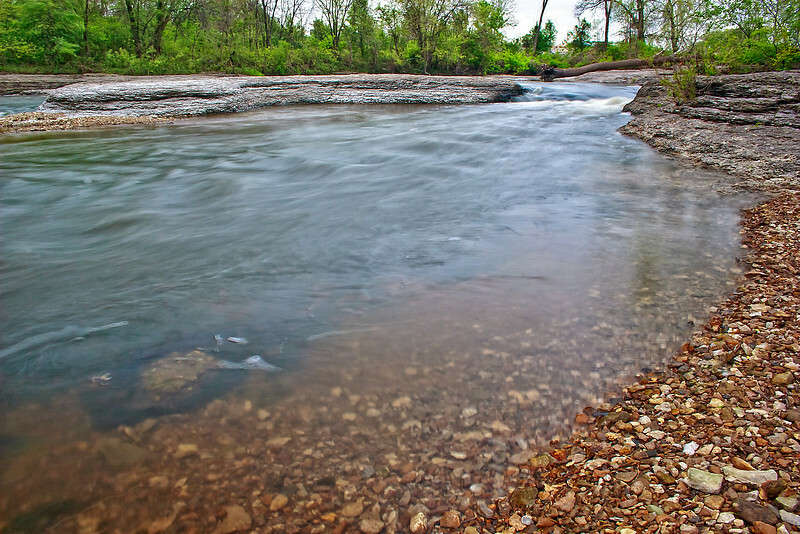 The water was so clear and the rocks were perfect for this type of landscape photography in Kansas City area. 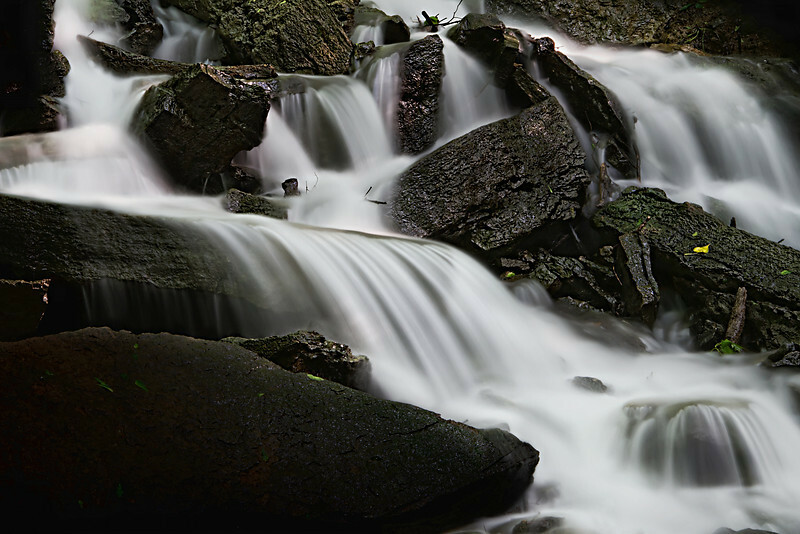 To get to this location it is over 1/2 mile hike from any access point that you can park at. The seclusion of this area as kept this part of the lake super clean. 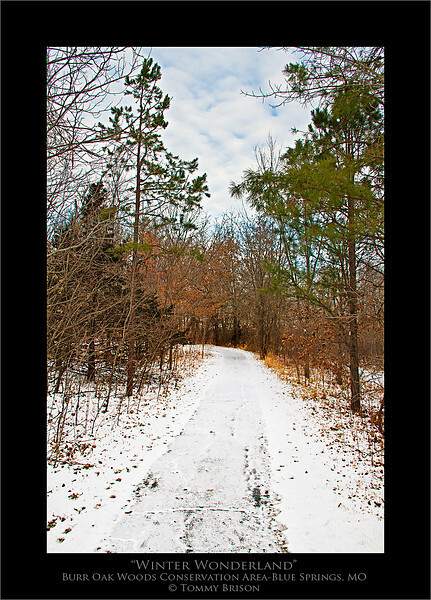 Taken on Jan. 12, 2012 at Burr Oak Woods Conservation Area in the cold sub-zero windchills. Needless to say, my tracks were the only tracks this morning on the trail. Scouting Out Kansas City. 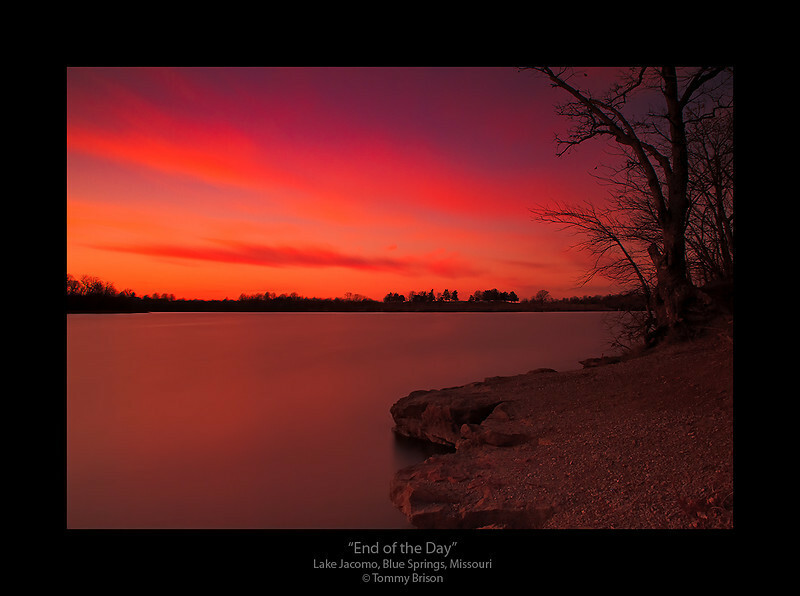 Shot last night on Jan. 26th 2012. Some will ask why are you sharing this photo so large. The answer is, I am not happy with it. The wind picked up and blurred some of the branches on the right side of the photo. Plus this is not the prime sky conditions I am wanting to shoot it in. I will hit the same locations time after time. Printed ones must be perfect since I like giving the client only the best. As many photographers go in when it gets dark, I like to load up my gear and shoot. 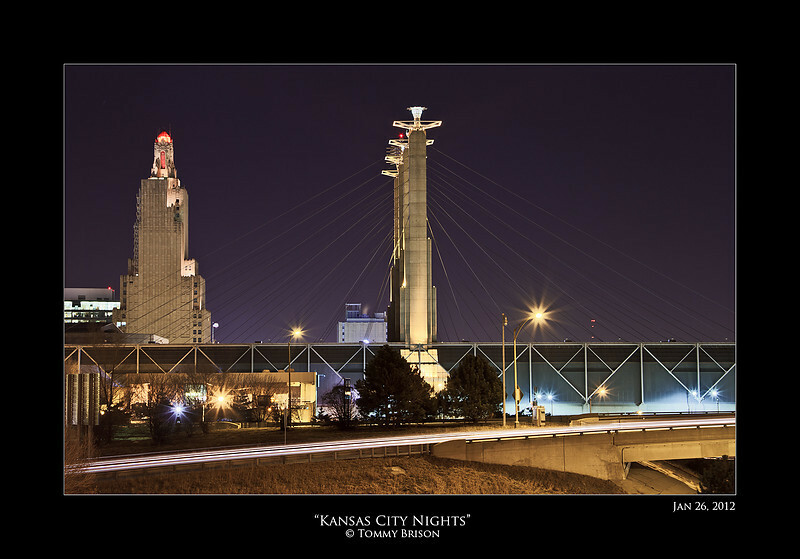 There is so many beautiful things to shoot photography of here in Kansas City at night. Both landscape and cityscape wise. 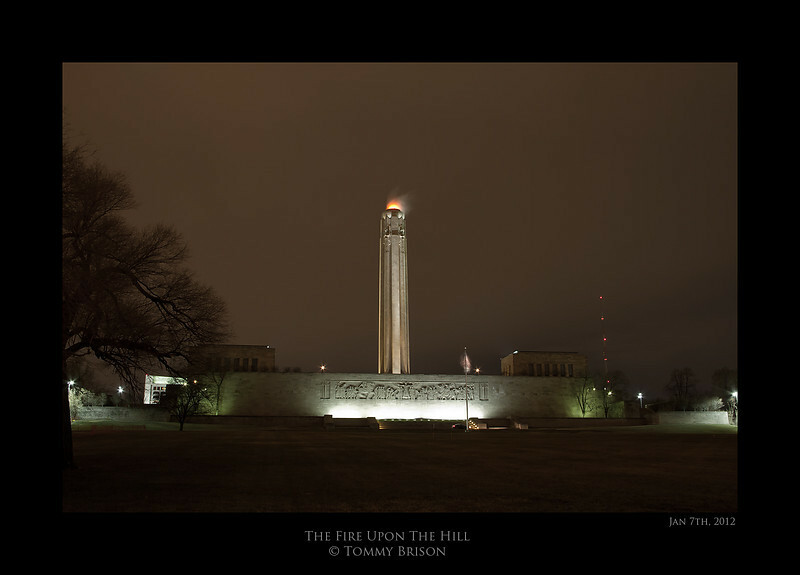 I had fun tonight showing and working with another photographer on shooting night shots and how important timing can be and how to set up for shooting panos. We had fun talking about photography and many other subjects.